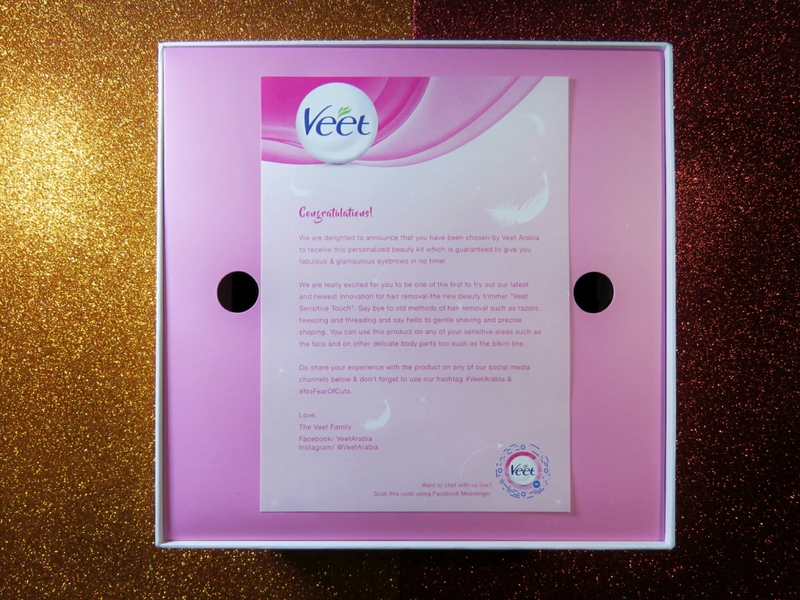 I had such a beautiful surprise last week, when Veet Arabia sent me a beautiful vanity box to pamper me, featuring their new launch: Veet Sensitive Precision™. 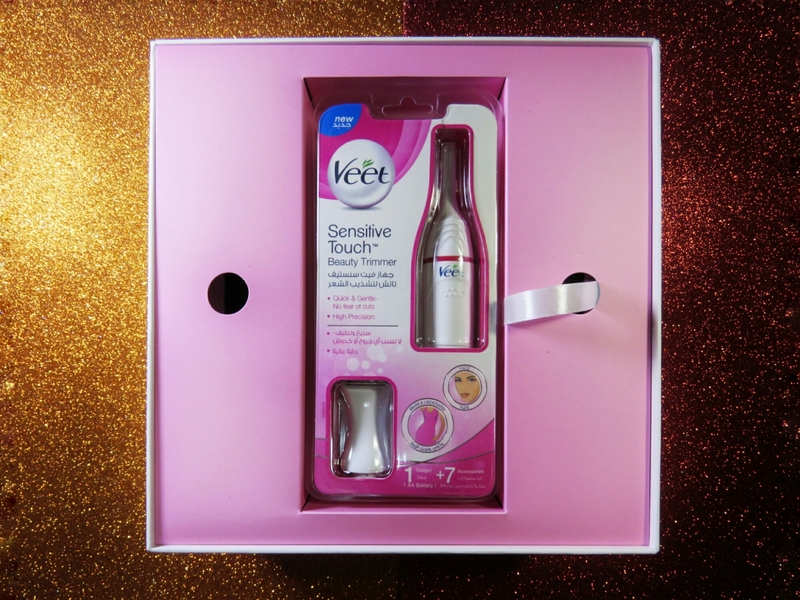 It is the 1st device from Veet specially tailored to gently trim and precisely shape delicate body parts, such as face, bikini and underarms. And the BIG secret: they are now my ultimate solution to keep my eyebrows on fleek! 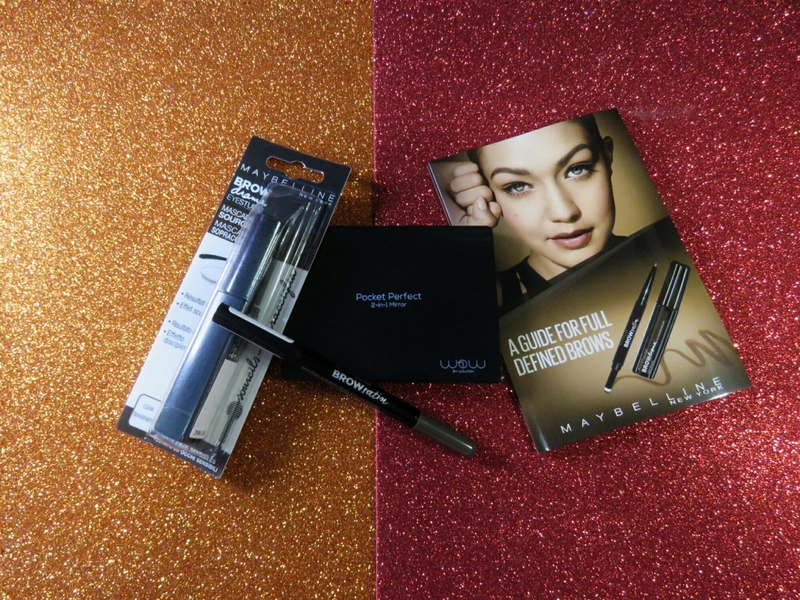 On the Vanity Box, apart from the Sensitive Touch, I received a complete eyebrow kit with Maybeline and Wojooh’s help: 1 Pocket Perfect 2-in-1 mirror, BROWdrama mascara, BROWsatin pencil and a brow guide. To be more perfect, I would like it to be water proof… Because I am really clumsy. But to use the product it doesn’t require water or creams. So I can use it whenever and wherever I want to! Can this be used for the entire face? It would be so amazing if it worked for facial hair.